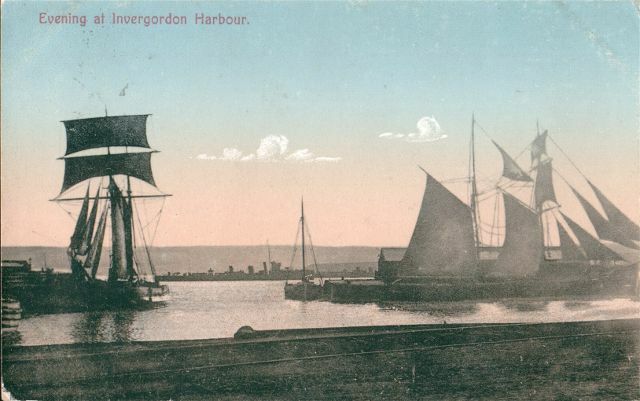 A delightful tinted postcard of what is now known as the West Harbour. The clouds are clearly additions. The date is a guess.